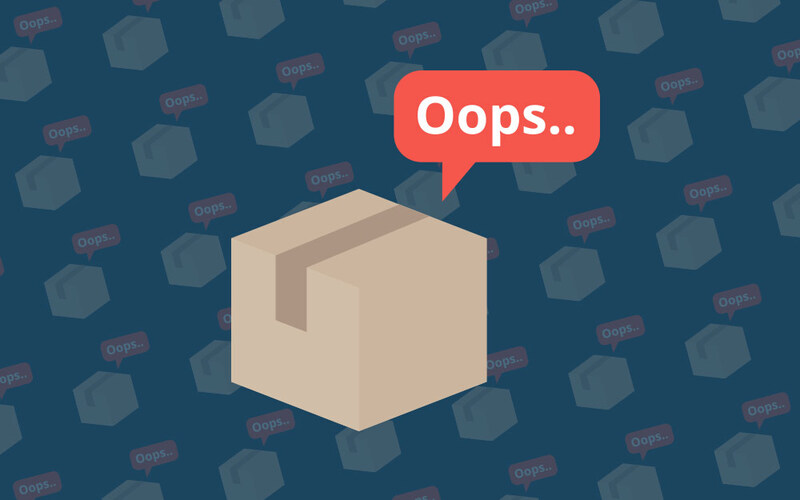 Inefficient inventory management can ruin your business. Be aware that we’re all prone to making costly mistakes that can spell the end for your business. Even Nike wasn’t immune. In early 2000s, lack of inventory control led to the loss of, hold your breath, approximately $100 million in sales. Efficient inventory management starts with TradeGecko. Avoid costly mistakes and increase sales by signing up for your free trial today. Following the fiasco, Nike’s stock price plummeted by 20%, was slapped by several class-action lawsuits, and became the poster child for shoddy implementations. Fortunately, they were able to bounce back by using a better inventory management system. If it can happen to one of the biggest companies in the world, it can happen to you too. Nike’s problem stemmed from inaccurate forecast demand. Its software had bugs and errors and produced erroneous forecast, which they used for their manufacturing plan. As a result, they didn’t have enough products their customers wanted and overproduced on items that were not sold. Inventory management systems, first and foremost, must be free from bugs and data errors. Demand forecasts are critical to producing the right number of items and if the calculations are off, you’re in trouble, especially if you're running a wholesale business. 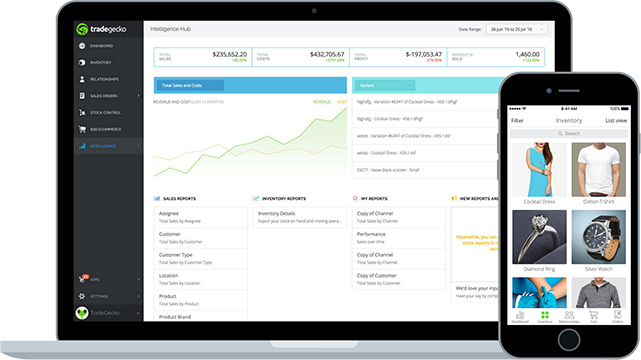 The answer is very simple: invest in an inventory tracking software that provides accurate data, like TradeGecko. If you’re still tracking inventory with Excel, or with pen and paper, then you could be losing money. Manual tracking takes too much time and won’t get you results. You’re wasting resources and that keeps you from focusing your energy on other areas that can help grow your business. There’s also the fact that manual tracking means that you’re vulnerable to human error, as well as employee pilferage. Sterling Lighting, a company that specializes in LED light bulbs and outdoor lighting applications, saved a lot of money by using a cloud based inventory management software that helped them automate tasks. They were able to cut down on unnecessary labor costs and subsequently were able to spend more time focusing on growth. For most companies who are still using software that’s installed on local computers, issues are common because not everyone knows how to use it properly. When there’s so much to do and only one person who’s familiar with the system, you can get left behind in orders. Lack of proper training can severely affect your ability to keep up with orders or worse, result in wrong products being sent out, which will cause both customer satisfaction and retention levels to drop. Easy access even for those who travel a lot. No need to have separate people process orders, check stock, or track inventory. NZ-based jeweler Nick Von K found inventory management very annoying and unproductive because it divided his team’s time between administrative tasks and stock management but by using an online inventory management tool, they were able to streamline their operations and focus on expanding the business. It’s not uncommon for warehouse managers to fail in finding more efficient ways to handle business. Simply rearranging goods so they’re easily taken out for shipment can save you thousands of dollars. Often times, employees take too much time going through the facility, looking for an item. Always remember that wasted time is money lost. A simple solution is to figure out which items sell more and place them near the shipping area so they can easily get sent out. Sales reports should give you a good idea which items to put close to the door. Additionally, don’t randomly put stuff where there’s available space. Allot a specific area for each product based on popularity so they can be easily retrieved. In order to make sure the flow of goods is optimized and minimize bottlenecks, you should track the time spent counting, picking, packing and finally moving each shipment through the handling system. If you can’t figure out how to get the workflow right in order to minimize the amount of time spent here, consider investing in consultants who will be able to advise you on this. This is an outdated method and one that’s not productive at all. You’re better off scheduling more frequent regular inventory checks to keep the company from shutting down operations and missing out on sales. In addition to this, even if you do find a discrepancy during your inventory check, it will be difficult to pinpoint the problem when you have the time-frame of an entire year (or even one or two quarters) to look back on. Using an online inventory management system will eliminate the need for this. A reliable system, like TradeGecko, will keep you updated on the status of your inventory in real-time. Apart from eliminating profit losses, this will also empower companies with sales reps – with more visibility and clarity on inventory levels, sales reps will be able to speak more confidently and with more conviction to potential customers. Inventory management can be tedious but using a streamlined process, preferably one with a reliable tool, will greatly reduce mistakes and improve operations which can lead to more sales. Track the status of your inventory in real time! Reduce costly mistakes and increase sales by signing up today!